100% organic white cotton T-shirts, featuring our beautiful logo! Just click on the DONATE button or send a check to the address above, then click on the 'Contact Us' page and send us your size and address. We will get it to you right away! Thanks so much for your support. This is how we get things done! 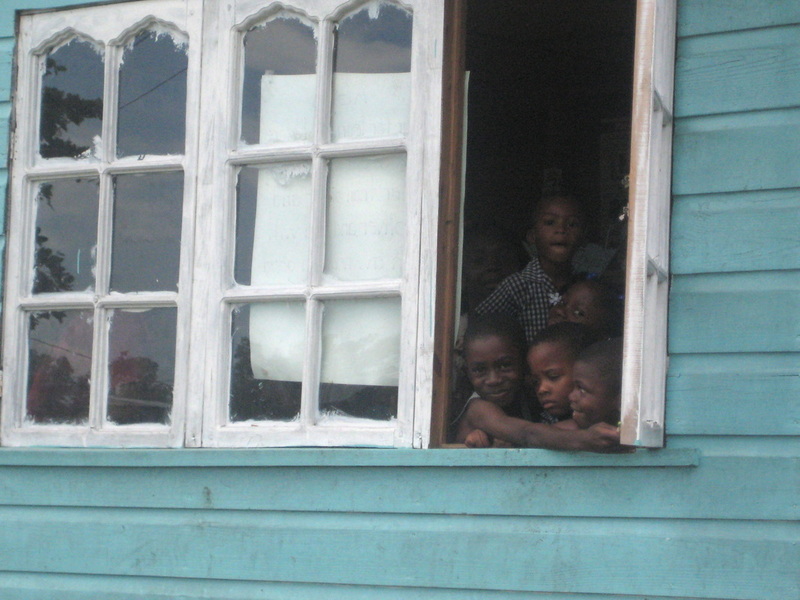 In order to comply with the tax laws of the United States, Jamaica Breakfast Program must retain complete discretion regarding the use of all contributions to assure that contributions are used only in furtherance of its mission to promote the health and nutrition of needy schoolchildren in Jamaica and to advance the education and social welfare of the poorest students by providing access to adequate food. Jamaica Breakfast Program’s current program is with the Cooke Street Basic School but Jamaica Breakfast Program reserves the right to redirect its funding to other schools if the Cooke Street Basic School no longer qualifies to receive funding. All donors to the Jamaica Breakfast Program can be assured that all donations will be used to fulfill the mission of Jamaica Breakfast Program. Jamaica Breakfast Program is a 501c3 tax-exempt organization.